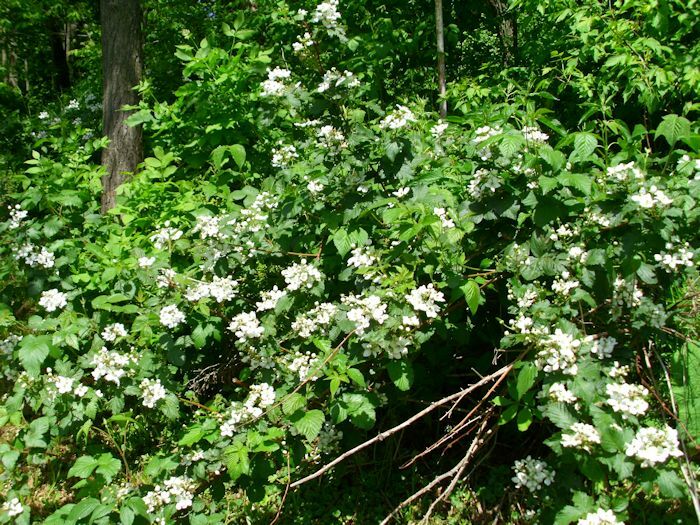 The berry brambles produce a riot of flowers too. The gooseberries, black caps (black raspberries), and red raspberries have already bloomed and set fruit. However, the blackberries are only now putting out blossoms and the initial burst of flowers portends a wonderful summer of berry picking. I can taste the berries now. 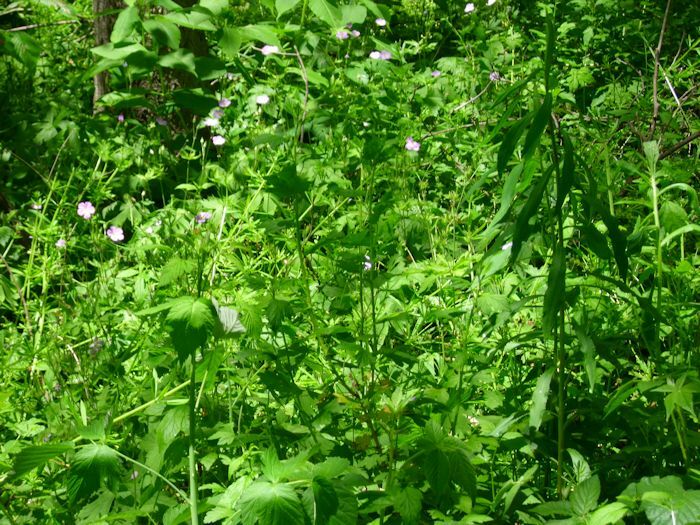 Our entire woods is packed with berry brambles. There are times when I can pick two or three gallons of berries in a single day. In fact, the limiting factor is usually the amount of time I have to pick, rather than the number of available berries. Everyone eats the berries during the summer months, including both birds and squirrels (oddly enough). There is no doubt in my mind that other forest creatures benefit from the berries too. Sometimes the woods offers up something special. In times past, I’ve encountered bloodwort (bloodroot) and mayapples. Both plants were used for medicinal purposes in the past. The mayapple fruit is edible in small quantities as long as you know when to pick it. The fruit must ripen on the plant and must be completely yellow. The leaves can be used to make an effective insecticide when boiled, allowed to cool, and then sprayed. 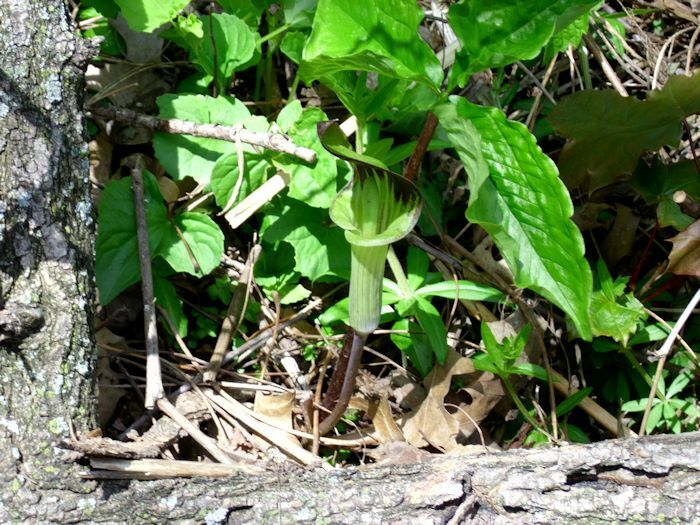 This year we were treated to something special, a jack-in-the-pulpit. It showed up right above the rock garden at the very edge of the woods, so Rebecca was the first to spot it. I must admit that it’s a bit hard to see. We’re fortunate that this one came up so close that we can enjoy it each year. In fact, Rebecca plans to extend the rock garden to include our new addition. Of course, there is a lot more to see in the woods and I hope to be able to take time to enjoy it all. Do you have a woods near to you? If so, do you ever get to enjoy all of the beauty it contains? Let me know at John@JohnMuellerBooks.com.